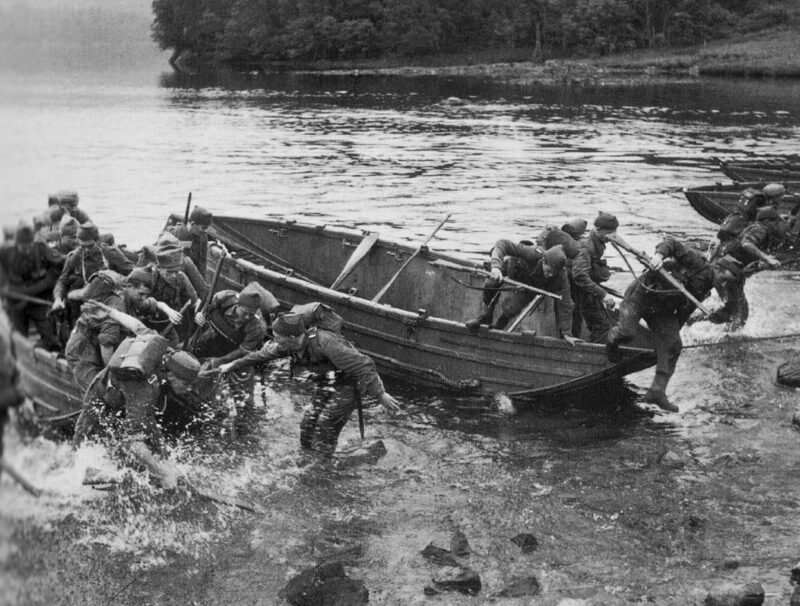 French commandos, serving under British command, trained amphibious assaults at Achnacarry in Scotland in August 1943. The Hardtack operations correspond to a series of allied commando raids conducted in December 1943 along the northern coast of France and supported by the British armed forces. Their purpose is to obtain information on the condition of the German forces and on the quality of the soil for a possible amphibious operation. On the night of December 26-27, the Allies launched a commando operation called “Hardtack 21” led by Lieutenant Francis Vourc’h with nine French commandos of No. 1 French Troop, No. 10 Commando. They carried out for two hours and successfully an extremely perilous mission of reconnaissance of the beach in order to obtain various information: disposition of the minefields, positioning of the antitank obstacles, direction and force of the current, slope of the beach… They saw a piece of a “Rommel asparagus” to analyze the metal and carry out many cores of sand so that it is compared with that of the beaches of Great Britain (in order to choose the locations of the drives). This information is particularly useful to the Allies in the preparation of the landing which is to take place in Utah Beach, a few kilometers to the south.